For some actors, just looking the part isn't always enough. Here are several who took method acting to the extreme. Brody dropped 30 pounds in order to portray Holocaust survivor Wladyslaw Szpilman in The Pianist, and actually learned to play piano, practicing four hours a day. After that, most actors would have called it a day. Instead, Brody decided he needed to feel as lost as Szpilman did after he was forced out of the life he knew: "I gave up my apartment, I sold my car, I disconnected the phones, and I left," Brody told the BBC. "I took two bags and my keyboard and moved to Europe." (Not surprisingly, his frustrated girlfriend at the time dumped him.) His sacrifices paid off in the form of a 2003 Oscar for Best Actor. The cast of the Best Picture-winning film, including Jack Nicholson, lived at the psychiatric ward where the movie was shot, interacting with real patients and undergoing group therapy sessions—some of which director Milos Forman filmed without their knowledge. The six-foot-tall Bale famously dropped 60 pounds to play a severe insomniac in this psychological thriller—and, within six weeks, gained it all back for his role in Batman Begins. His Machinist co-star Michael Ironside has suggested that Bale might not have gone to such extreme lengths had screenwriter Scott Kosar taken the time to alter his script. "The writer is only about five-foot-six, and he put his own weights in," Ironside said. "And then Chris did the film and Chris said, ‘No, don’t change the weights. I want to see if I make them.’ ... So those weights he writes on the bathroom wall in the film are his actual weights in the film." Thornton depended on an unusual—and painful—method to nail his character Karl's signature shuffle: The actor placed crushed glass inside his shoes, forcing him to limp around. He earned an Oscar nomination for the role. In order to physically feel the pain his Vietnam vet character might have, Cage had a few teeth pulled—without anesthesia. He also spent five weeks with his face wrapped in bandages. "The reactions on the street were brutal," Cage told The Telegraph. "Men and women laughing, kids staring. And when I took the bandages off, my skin was all infected because of acne and ingrowing hairs." De Niro actually got his cab driver's license while prepping for his role in the Martin Scorsese classic. The Oscar winner worked 12-hour shifts, and would reportedly pick up passengers around New York City during breaks from shooting. Dornan, who plays a serial killer on the chilling Netflix series, wanted to experience the thrill of the chase. So, "On the tube … I, like, followed a woman off the train one day to see what it felt like to pursue someone like that," Dornan has said. Keeping his distance, the actor followed her for several blocks. When LaBeouf heard that his Charlie Countryman character dropped acid during a scene, he wanted to make his big-screen portrayal of the act as realistic as possible. In order to prep, LaBeouf took LSD, filmed his trip, and sent the video off to co-star Evan Rachel Wood for feedback. For his role in The Crucible, Day-Lewis committed to living on the set, which was a replica of a colonial village—meaning there was no electricity or running water. He also built his own 17th-century house, using only the tools America's settlers would have had available to them at the time. For Lincoln, he refused to break character—period. 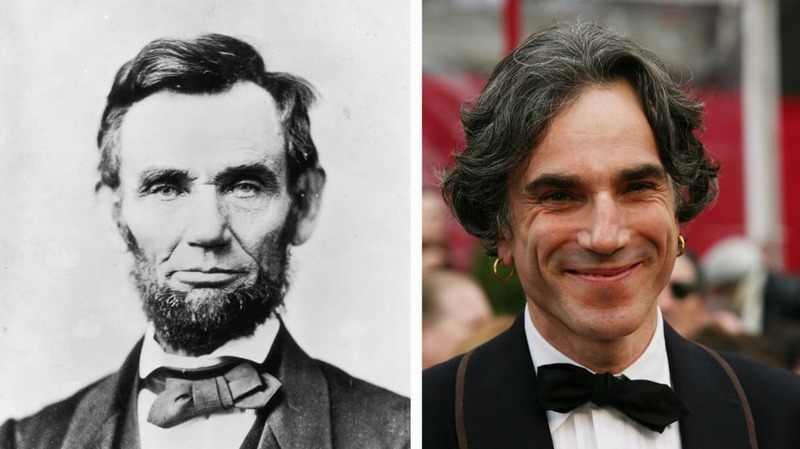 Day-Lewis walked, talked, and even texted as Honest Abe, according to his co-star Sally Field. "I never met him. Never. I met him as Mr. Lincoln. He met me as Molly, as he called her," Field said. "After I got the role, there were seven months before we began to shoot and he would text me all the time, in character. I would have to then answer back in the language of the time, which was really hard to figure out, but great fun."